The liberal media doesn’t just ask questions and report the news. They shape the narrative and they have been trying to “get” Trump since he won the election. It’s time to call them what they are – activists. New year, new media? Good luck with that. As the first full year of President Trump’s time in office wraps up, there’s absolutely no indication the national media want to do anything different, even if there’s every reason they should. Out of the major newspapers, the Wall Street Journal’s opinion page stands alone in providing anything that even looks sort of like a reasonable perspective on the still-young White House. 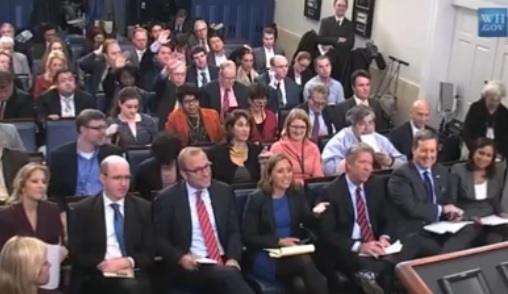 Acosta may be harmless on his own, but when the sea of media decide to rewrite the standards for covering a presidency, to assume an “attitude,” it’s time to accept that they’re no longer journalists. They’re activists. He’s absolutely right and most people have finally caught on to their little game.